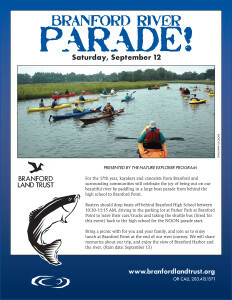 For the 17th year, kayakers and canoeists from Branford and surrounding communities will celebrate the joy of being out on the beautiful Branford River by paddling in a boat parade from behind the high school to Branford Point on Saturday, September 12. 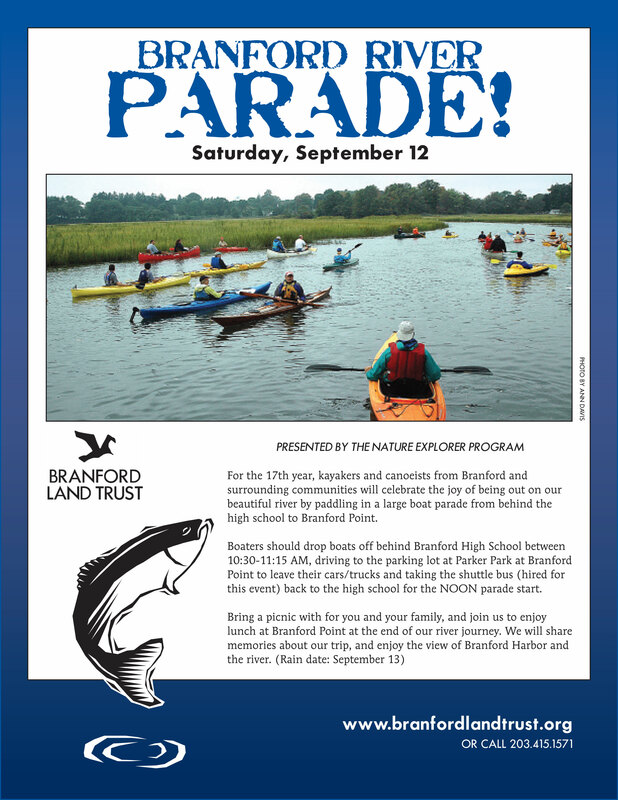 Boaters should drop boats off behind Branford High School between 10:30-11:15 AM, driving to the parking lot at Parker Park at Branford Point to leave their cars/trucks and taking the shuttle bus (hired for this event) back to the high school for the NOON parade start. This event is free and open to the public. It is presented by the Branford Land Trust’s Nature Explorer Program, which coordinates events for adults and families. For more information call (203) 415-1571.